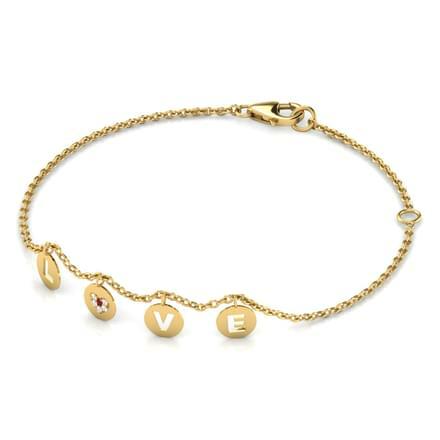 Bracelets are universally liked and donned by men, women and kids as well. 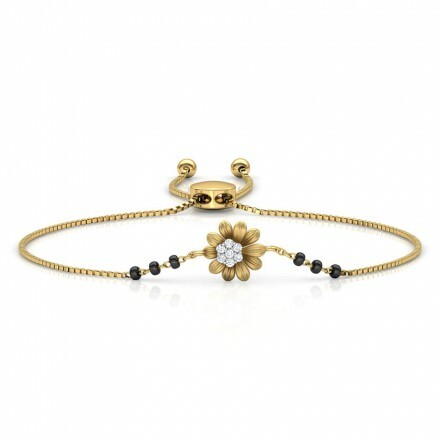 Diamond bracelets speak of finesse and style and take an individual's style quotient a notch higher. 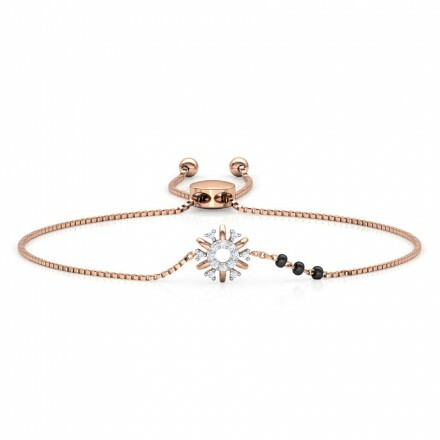 From simple designs to contemporary styles, diamond bracelets can easily be worn by someone who wishes to accessorise its looks with something dashing and elegant. 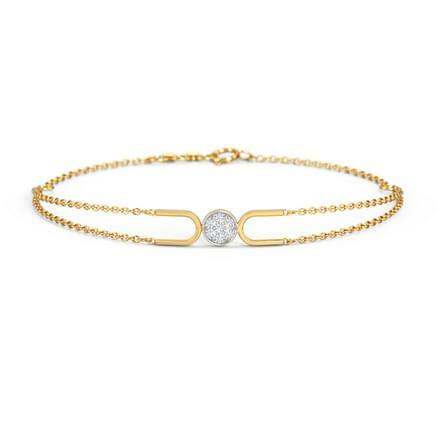 CaratLane's elegant and simplistic diamond bracelet range is vast and affordable as well. 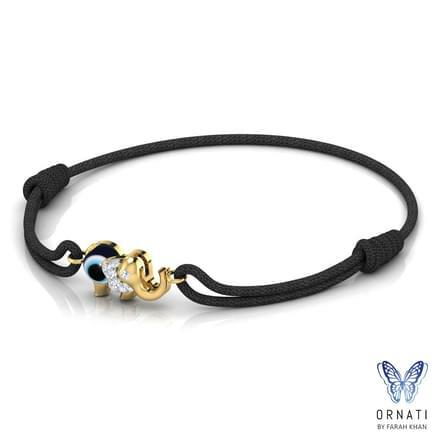 Latest diamond bracelets designs can be picked from CaratLane which have been crafted in yellow gold, white gold, rose gold and two-tone gold bracelets studded with diamonds. With more than a 100 designs of diamond bracelets, there are Tennis bracelets, Flexible bracelets, Oval and Round bracelets, Hand Harness and Mangalsutra Bracelets available online on CaratLane. 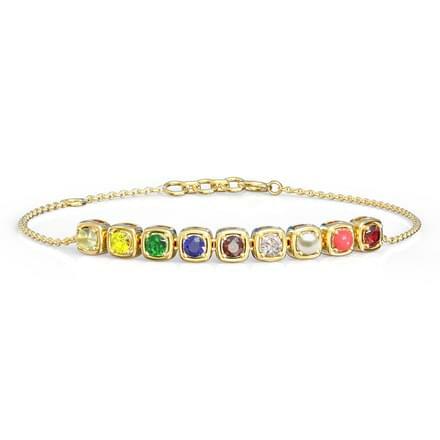 Men and women both like to flaunt a diamond bracelet, but they can also serve as smart gifts for kids. Every doting parent wishes to dress up their little divas in the best way possible. Diamond bracelets for kids are an awesome way of gifting your child something valuable which will also be treasured for life. 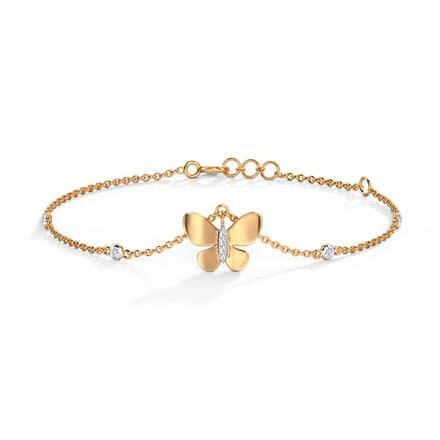 The Jessy Bow Bracelet, set in 18K yellow gold with diamonds by CaratLane is among the few from its diamond bracelet range for kids. Men like to accessorise their looks nowadays and are often on the look-out for something stylish and valuable. The sleek diamond bracelet such as the Ted Bracelet for Him, set in 18K yellow gold with diamonds or the bold and beautiful Akhil Bracelet for Him, set in 18K yellow gold with diamonds are both smart and macho bracelets for men. 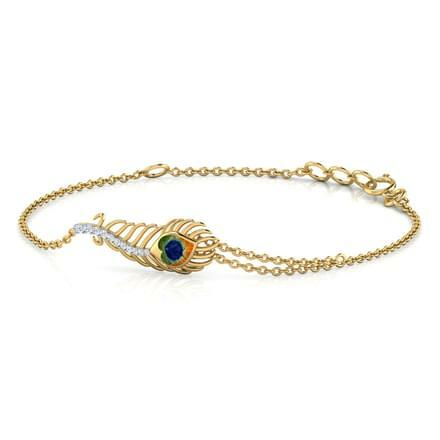 Mangalsutra bracelets are trending among all women, especially working women. 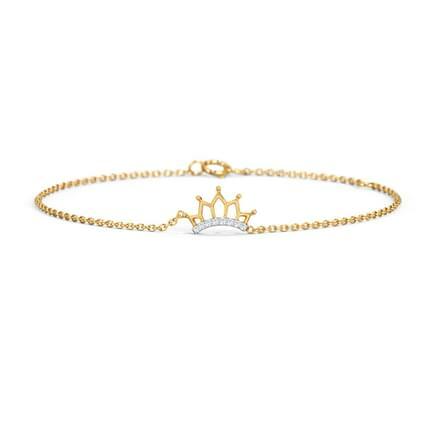 The Riya Mangalsutra Bracelet or the Anaisha Mangalsutra Bracelet by CaratLane, both set in 18K yellow gold with diamonds are unique designs through which a woman can flaunt her mangalsutra in a different way from the usual. 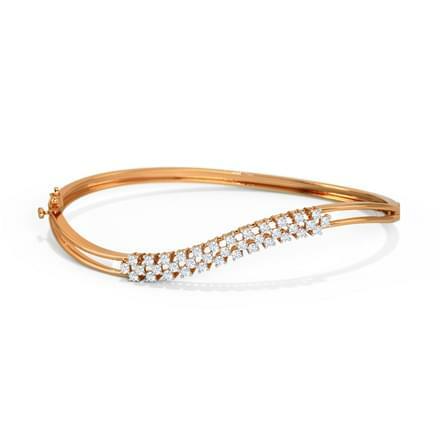 Women like to flaunt their diamond jewellery in different ways and flexible diamond bracelets are among their favourites. 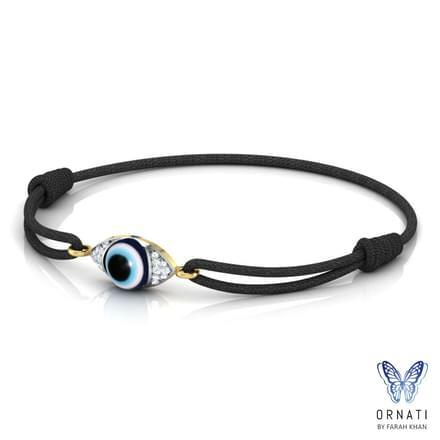 From evil eye bracelets, religious themed bracelets to floral or heart-shaped bracelets are some of the diamond bracelet styles available on CaratLane. 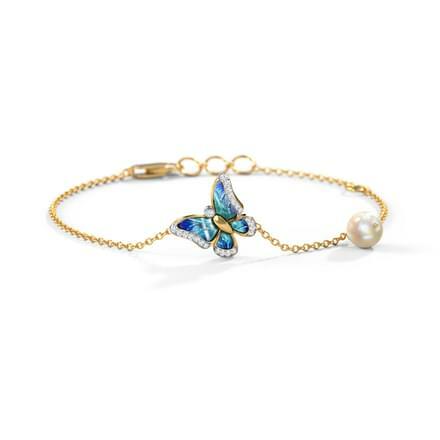 Check out the Flutter Bracelet, set in white and rose gold, the Bess Lucky Love Bracelet from the Ornati by Farah Khan collection, set in yellow gold or the Sana Stamped Bracelet from the Gold Struck collection, set in yellow gold to name a few outstanding designs of flexible Bracelets for women. 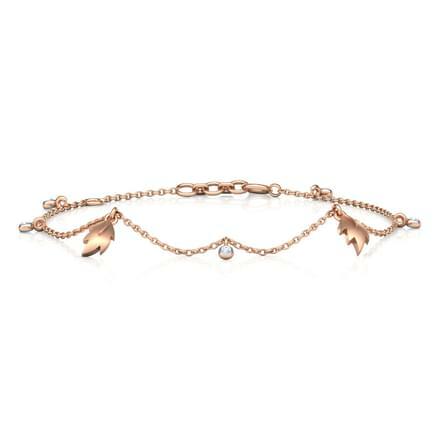 Looking for classy vintage diamond bracelet designs? Pick from the Lotus Ripple Bracelet or the Stellar Tennis Bracelet, both set in white gold and diamonds. These are class apart flawless diamond bracelet designs for women. CaratLane has a beautiful selection of diamond bracelets to buy at best price online which ranges from heart-shaped, floral, religious motifs or simple strings of diamonds studded in gold. Each of its design speaks of its products quality and affordability. 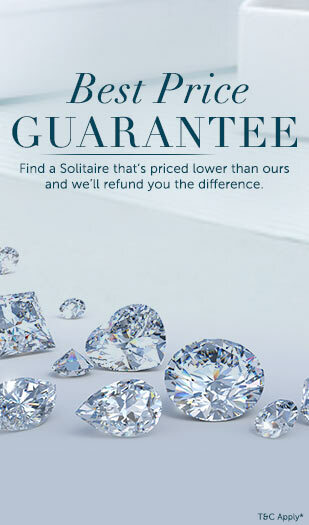 The portal offers EMI options on its gold jewellery, as well as 30-day free return policy. Customers can try the ornaments using the Try@Home option and pay through various payment modes such as credit cards or debit cards, net banking or online funds transfers. 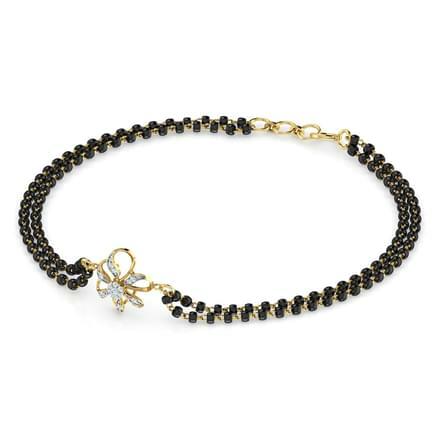 There is no dearth of variety in latest diamond bracelet designs and styles for men, women and kids available online on CaratLane.